LUSAKA – Zambia wants to charge a tax on WhatsApp calls, in order to collect funds to compensate traditional telecoms businesses. 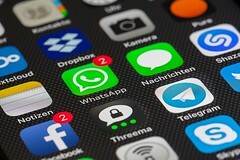 Earlier this week the government of Zambia announced that it intends to implement a daily tax on the use of internet calling services such as WhatsApp or Skype. The new tax would be charged at a rate of ZMK 0.30 per day for each device that is used to access the relevant communications and calling networks. The tax is targeted specifically at calling, and would not be charged if a call-capable network, such as Facebook Messenger, is used but no calls are made. It was explained by the Information Minister Dora Siliya that the transition by many individuals to digital calls is beginning to prove troublesome for the traditional telecommunications industry. She further explained that “…jobs such as call centre workers, talk time sellers, conventional call technicians will reduce drastically if more Zambians migrate to internet calls and create jobs in America and elsewhere”. The new tax would be collected and passed to the government through mobile service and internet service providers. The tax has already seen a sprouting of opponents who claim that the tax is an impediment to people’s rights to freedom of expression and access to information.